Farid specializes in philosophy of mind, philosophy of cognitive science, epistemology, and Kant’s theoretical philosophy. 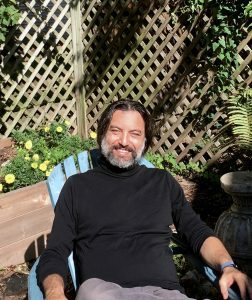 His current research focuses on understanding the metaphysical nature of perceptual experience and its relation to cognition, the best way to characterize perceptual content and perceptual phenomenology, the role of perceptual experience in justifying beliefs, sensory integration, and the unity of conscious experience. He thinks that a Kantian account provides a unified outlook on these issues and has been working on how to characterize this account in ways that connect to the concerns of contemporary philosophers and cognitive scientists. His approach is multi-disciplinary. He combines contemporary analytic methods with evidence from psychology and neuroscience, insights from the phenomenological tradition, and ideas from the history of philosophy. Before coming to UW-Madison, Farid has taught at Harvard and NYU.